It took over half a season, but it appears after Thursday night that the 5A-14 district is starting to take shape just how many fans thought it might before the season began. Coral Springs Charter has been the talk of the early season in Broward County with their 9-0 start coming into this week. The Panthers suffered their first loss of the season to district rival Pine Crest on Tuesday, and Thursday night they had a hungry Cardinal Gibbons team coming in. 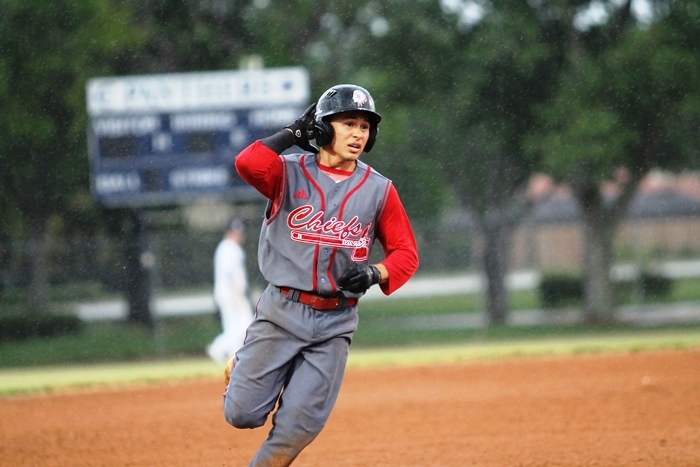 The Chiefs put up two solo home runs in the first inning, and then cruised to an 8-0 victory, tying them with North Broward Prep for the district lead. The game started under less than ideal conditions, with a steady, but light, rain falling. Panthers ace Chris Kahler came into the game with a stellar ERA on the season of 1.45, and was looking to continue his strong start to the year. Felix Torres had other ideas. The Chiefs leadoff hitter set the tone with a long home run to left, and Gibbons had the early lead. Two batters later, clean-up hitter Kevin Hirsch also homered to left, giving Gibbons an early cushion. 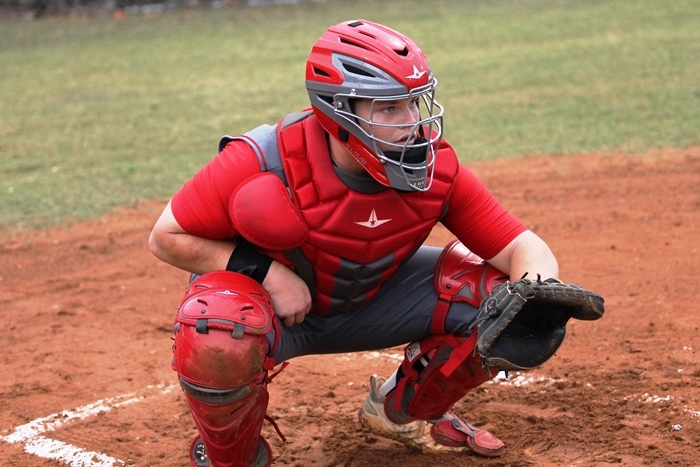 “Obviously when your facing that type arm on the other side you don’t want to fall into an early hole, and Chris just missed with his location in the first inning and they took advantage,” said Panthers Manager Charlie Fine. That arm on the other side was Gibbons ace Tim Manning. 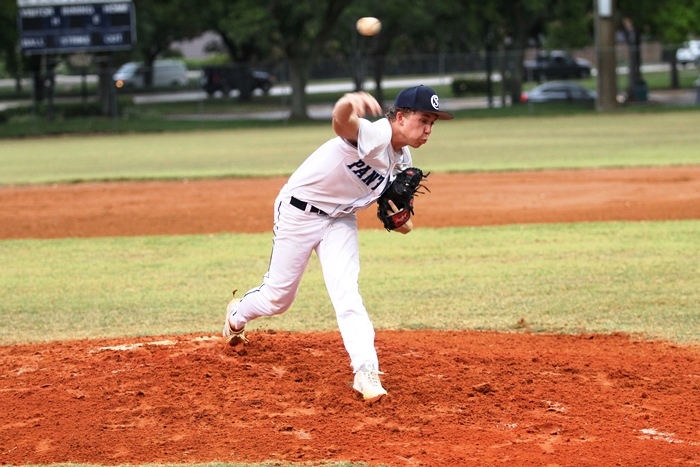 The lefty made sure the two runs was all Gibbons would need, throwing six innings of shutout ball, while striking out 11 and allowing only one hit. “When Timmy is right in his mind and on the mound, that is the type performance he can deliver,” said Hamilton. While Manning did his job on the mound, it was the Gibbons offense that stole the show on this night. The Chiefs had hits from seven of the nine hitters in the lineup, and consistently used an approach of working the middle of the field to deliver quality at=bat after quality at-bat. Hirsch finished the game 2-for-4, with two RBIs, while Torres was 2-for-2 with a walk, two RBIs, and two runs. Logan Puente and Michael Sarakinis also had two hits for the Chiefs, with Isaiah Farris, Brice Montiel, and Manning all pitching in with a hit. For Charter, there was not many bright spots on the night, but Fine was able to put perspective on the season the Panthers are having to this point. Then came the million dollar question, how the team would respond to its first taste of losing and adversity on the year. For Gibbons, they also know what is ahead. While the win Thursday was nice, the Chiefs have no time to relax. “This was a good win, but in terms of the district, we play North Broward Prep on Tuesday, and the winner of that will be sitting where they want to be after that game,” said Hamilton.